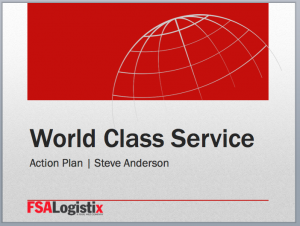 FSA Logistix PPTX Template: Right Click Link below and save to desktop. Most orders will only need standard service. Expedited services with large color presses charge a 20-35% premium for these orders. Rush services on color printing orders can incur rush fees of 50-100%, and can only be selected with your manager's approval. Only add number here if you want them on your Letterhead! Specify any additional items that you want to include on the envelope or letterhead.